On January 1, 2006 at 11:45 a.m., a Sine Die Meeting was held to conclude 2005 business. Councilman Andrew Link III was presented a Proclamation, Plaque and Key to the Borough by the Mayor Ronald R. Jones and the Council presented Mr. Linka plaque honoring his 23 years of service on the Council. 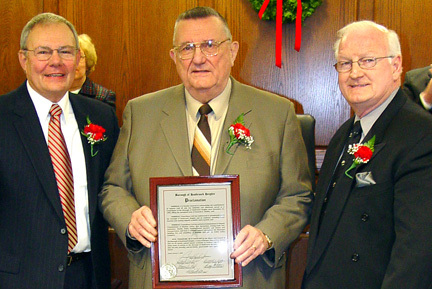 The Mayor and council spoke highly of Mr. Link's service to the community and Mr. Link made departing comments. 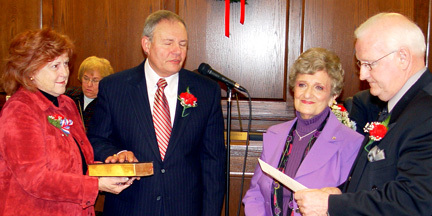 Mayor Ronald R. Jones administered the Oath of Office to Justin DiPisa as Rose Marie DiPisa held the bible and former Mayor and Assemblywoman Rose Marie Heck looked on. 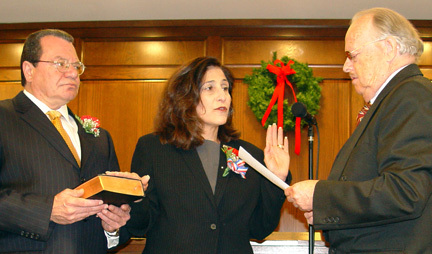 The Oath of Office to Maryetta Saccomano was made by former Judge Harry H. Chandless, Jr. while Martin Saccomano held the bible. Upon the seating of new council member, Mayor Ronald R. Jones declared the 2006 Reorganization Meeting in session. There was a Salute to the Flag, Pledge of Allegiance and an invocation by the Reverend Lewis V. Papera, Pastor of Corpus Christi Church. The Mayor administered the Oath of Office to Fire Chief Joseph Taylor, Jr., 1st Assistant Fire Chief Angelo Roccamo and 2nd Assistant Fire Chief Mike Ratkowski. 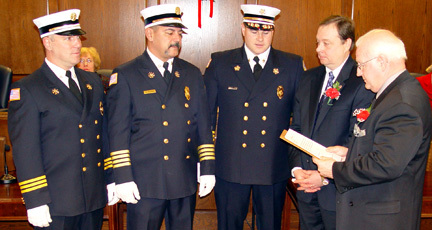 The Mayor administered the Oath of Office to 2006 Fire Department Company Officers. There was an announcement of council assignments the Council elected Thomas Meli as their Council President and named Ronald Kistner as their representative to the Planning Board. Mayor Jones made his appointments and requested Council confirmation. The Mayor delivered his State of the Borough Address which was followed by each Council person making their comments. The concluding Benediction was provided by Reverend Msgr. Rodrigo San Pedro, Adjunct Clergy, Corpus Christi Church who led the assembly in God Bless America. The meeting was adjourned and light refreshments were served in the Senior Center. Presenting a Proclamation to Councilman Andrew Link for 23 years of service. Councilman Andrew Link was also presented a plaque by the Council. 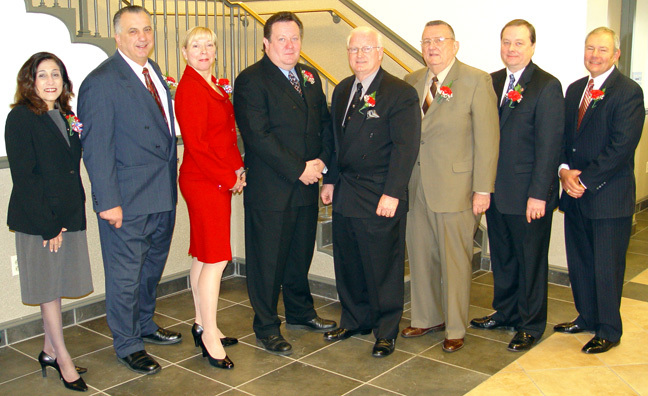 (l-r) Councilman Ronald F. Kistner, Councilman Justin A. DiPisa, Councilman Andrew Link III, Mayor Ronald R. Jones, Councilwoman Carol J. Skiba, Councilman Leonard Introna and Councilman Thomas E. Meli. 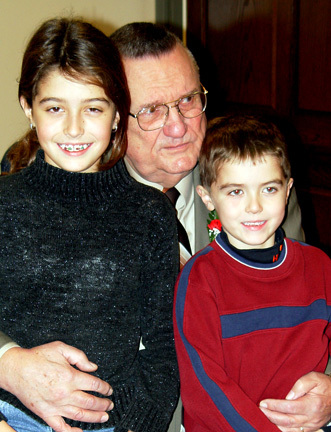 With his grandchildren on his lap, Councilman Link received many accolades and then he made departing comments. 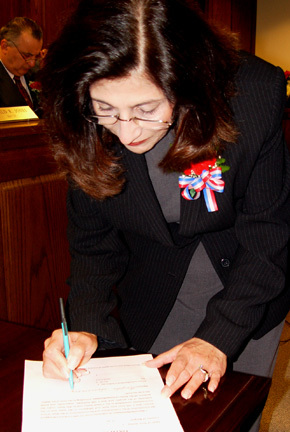 Maryetta Saccomano signs the Oath of Office. 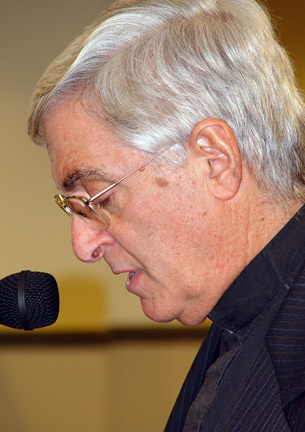 The invocation was given by the Reverend Lewis V. Papera, Pastor of Corpus Christi Church.